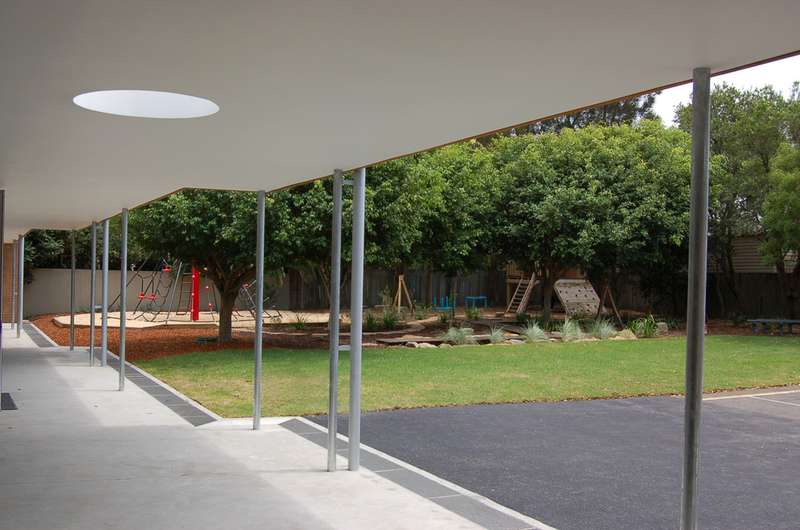 Abundant natural light & cross ventilation created uplifting classrooms to inspire young minds for a progressive school. A central kitchen with deep north facing verandah to the playground makes a focal & gathering point for children and adult events. Awarded Montessori Inspiring Award, 2010.